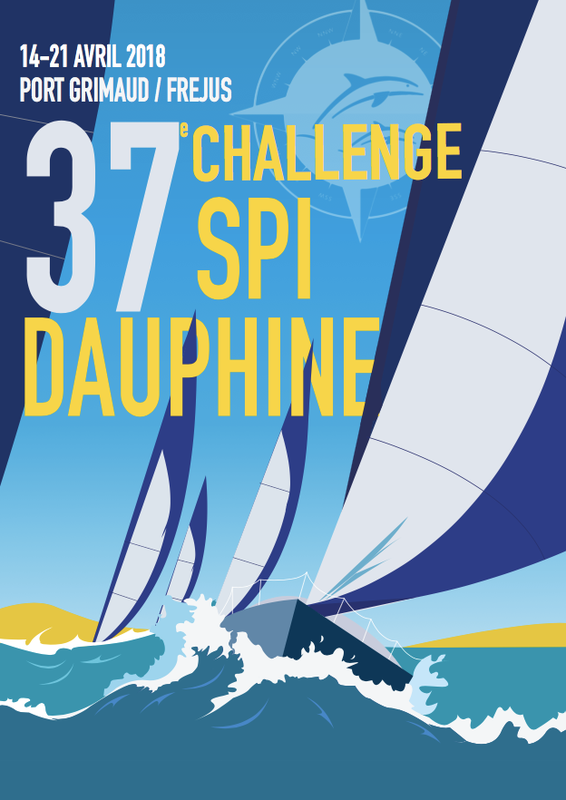 The SPI Dauphine Challenge took place from 14 to 21 April 2018 at Port Grimaud and Port Fréjus. For its 37th edition, the competition brought once again together the students who have come to compete in the event. No less than 600 of them were present on the starting line for the most popular student event in the South of France. Its reputation goes beyond the sporting world and by distinguishing itself in this endeavour, it offers many opportunities to young people for their professional future. During the summer of 1981 some students from the Paris Dauphine University, who had not been able to register for the Edhec Cruise Race, came up with the idea to compete in their own regatta. It was as a result of a combination of circumstances that the idea of setting sail for the Mediterranean from which the event was launched five years later and would remain consistent thereafter. To the great surprise of its instigators, the sporting gamble has since taken on increased significance defying all forecasts. Nevertheless, the challenge remains on a human scale, a real adventure born from the osmosis between the organizing team and its participants. Since then, team spirit has always dominated, just as values such as fair play and mutual support have been forged. Placed under the aegis of the French Round Table, they’ve organizez »The Sails of Hope » since 2001. The French Riviera had the privilege of being their host country in 2017… but it is on a rotational basis that they are organized in Languedoc Roussillon, Normandy, Poitou-Charentes, Champagne Ardennes, Brittany and Corsica. This competition requires devoting at least 2 years to the preparation, because of the numerous economic, technical and human requirements. It is above all a « wonderful human adventure combining solidarity, conviviality and sharing! « . It is the world’s largest sailing event around the world for children with cancer and leukemia remission. Sick young children between 8 and 14 years old, from all walks of life: Metropolitan France, overseas and other countries of the world, such as Morocco or Luxembourg.They are the motivating factor of the volunteers involved in large numbers and of course of the organizers. Because of their medical constraints, this is often their very first sea trip. In September 2017, the Port Grimaud International Yacht Club organized the famous four-man Championship. Once again this year, about thirty boats are expected for this event in the 7.65 meter monotype keelboat category. The regatta is popular in most European countries, especially in France, Germany, Italy and Switzerland. The 2017 trophy was won by the latter, who brought in major reinforcements for the occasion. The Biel sailboat »SRS Moi…Non Plus », with its five round victories, literally flew over the competition. 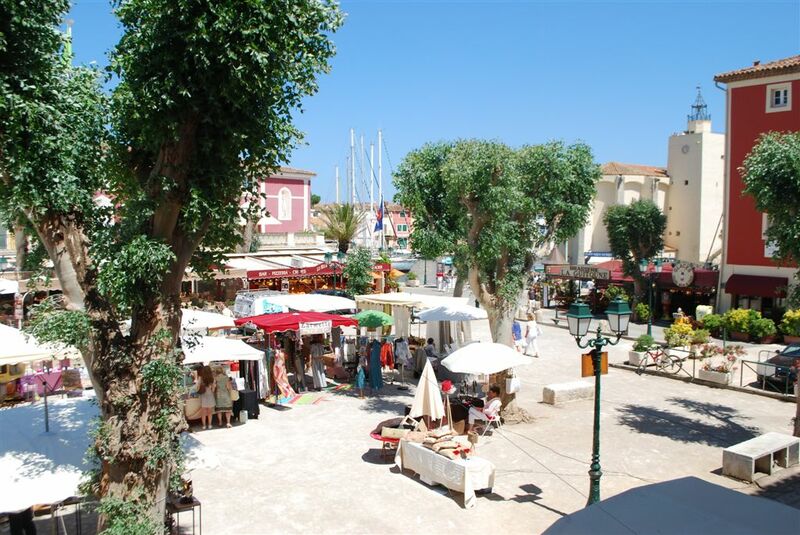 It was at the beginning of the 80s that the Yacht Club was established in Port Grimaud, today internationally renowned. Every year it gathers about fifty yachts of all sizes, which have only one idea in mind: to participate in the famous regattas of the Gulf of Saint Tropez. So even if the dates are not yet determined with certainty, we can be pretty sure that this season once again will see rushing competitors ready to battle against the waves. A great opportunity to get together with family or friends, in these idyllic locations conducive to escape the confines of everyday life! Cette entrée a été publiée dans English le 30 avril 2018 par Boutemyblog.